"My experience with doing Girls in STEM was awesome because that’s something I never got a chance to take part of. I really enjoyed meeting new people and tried doing other things that other people like to do. The classes I liked the most that I had was Chemistry Gets Cheesy in my bacterial class. I feel like if I can do it all over again, I would, and try and meet more new people." "This weekend, I learned that perseverance is my best friend. I came out of my shell and met new people. I also grew closer to the people in my program. These experiences made me realize how much I love science, and I’m very interested in engineering. Underwater Exploration was my favorite session. These activities have shown me that working with others that I don’t know is not a bad thing. This weekend reassured me that I do want to have a Ph.D. in marine biology. And now I want to pursue astronomy. This helped me so much. 'You are. You can. You will!'" 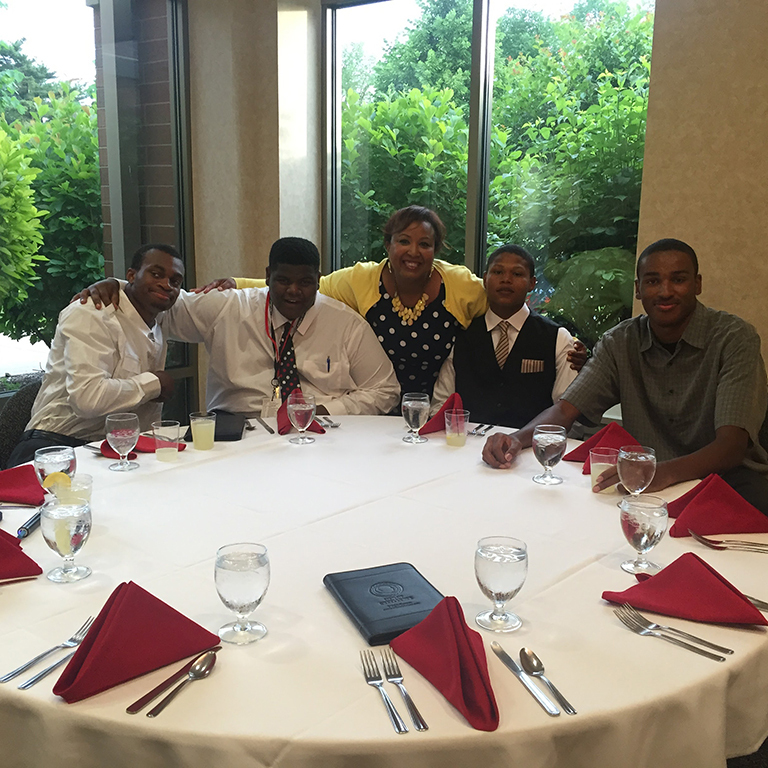 Several IUPUI Upward Bound participants attended the 2016 Men of Excellence conference in DeKalb, Illinois. High school as well as undergraduate young men attended the conference from throughout the United States. One of the primary purposes of this conference is to uplift, inspire, and empower young men to pursue higher education and to become better men and leaders in their families and communities. The UB students participated in workshops centered around the acronym REAL (responsible, education, authentic, and leader). In addition, students participated in community service projects to instill the principle of REAL. The following young men who attended the conference representing the IUPUI Upward Bound program were: Elizjah Grigsby, Joseph Jackson, Tre' Hailey, Tyree Smith, Samuel Lewis, and De'monie Johnson. These young men left the conference inspired and empowered to make a positive impact in their families and communities.